The new annexe building provides much-needed office accommodation for 102 members of parliament and their support staff. 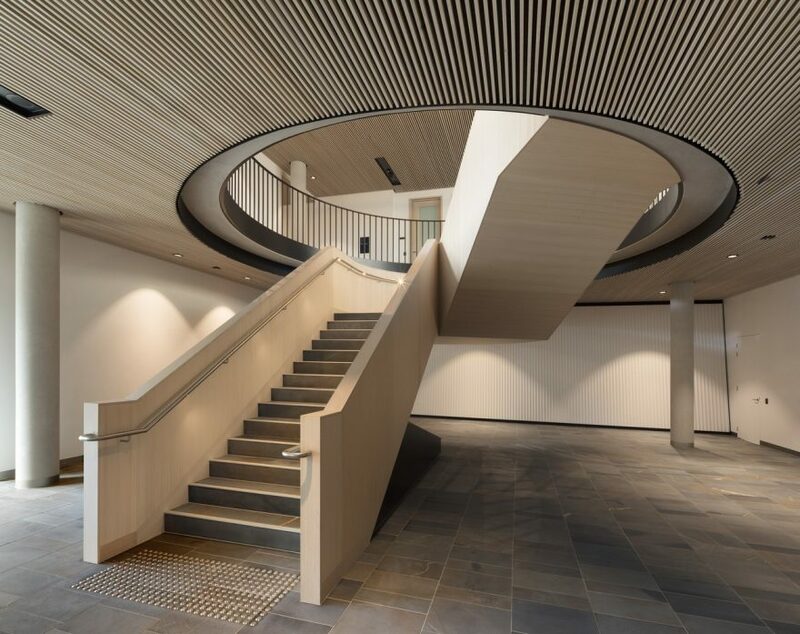 After a century and a half of makeshift and inadequate member’s offices and numerous failed schemes to extend Parliament House, the new building finally solves a long standing accommodation problem. 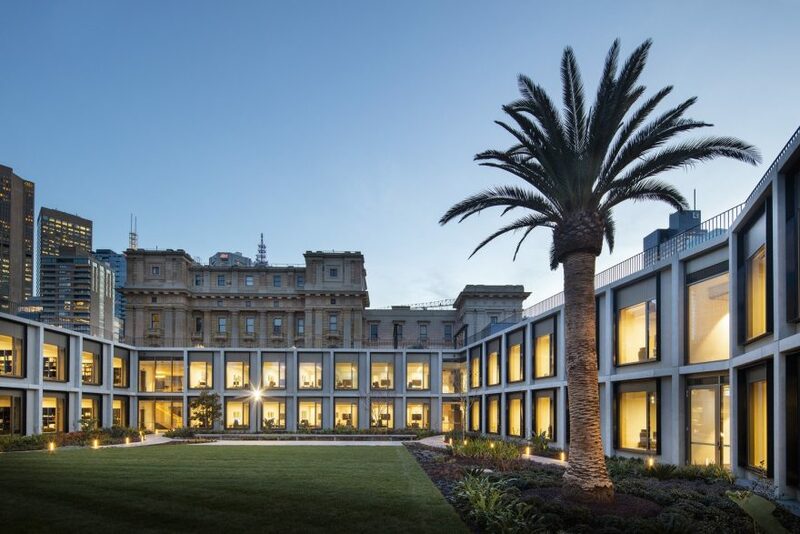 The annexe has been constructed as a separate free-standing building within the eastern gardens of the Parliamentary precinct but is linked back into Parliament House via a bridge, tunnel and laneway connections. 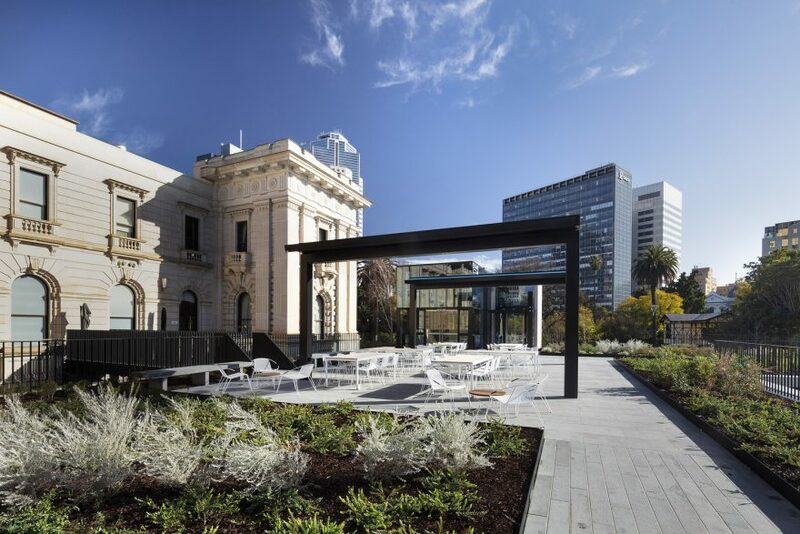 Parliament House is one of Victoria’s most important historic buildings having been built in stages over several decades from the mid nineteenth century. The architect Peter Kerr’s 1856 grand master plan remains incomplete with the Spring Street façade the only elevation that is true to the original vision. An imposing dome and further symmetrical wings were never completed, giving the sides and back of the building a decidedly unfinished appearance. The new annexe has been conceived as a companion building set in a garden where one hundred percent of the footprint has been replaced with landscape on the roof and within a large central courtyard. 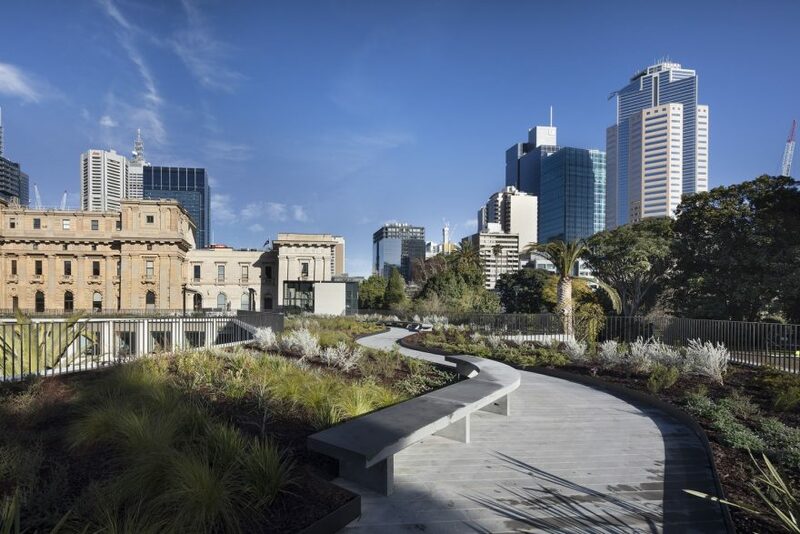 The building has been partly sunken into the ground to protect views and integrate it topographically within the eastern garden. Key views from Parliament House looking out into the garden and toward St Patrick’s Cathedral and St Peters Church have been maintained, as have views from the garden to the east façade of Parliament House. The office annexe has been planned as a perimeter courtyard scheme of four unequal wings. From the outer garden the building is a partly buried single storey, whereas within the inner sunken courtyard it is a uniform two storeys. The west wing to the courtyard has been aligned with Parliament House as a formal device commensurate with its setting. The size and location of the building has been massaged and shaped to retain key heritage elements, like the Federation Oak, significant established trees and the bowling green. The roof garden has a three-sided pincer shape opening out to the east on axis with St Patrick’s Cathedral. This allows the inner courtyard to integrate with the existing eastern garden as one large flowing space. 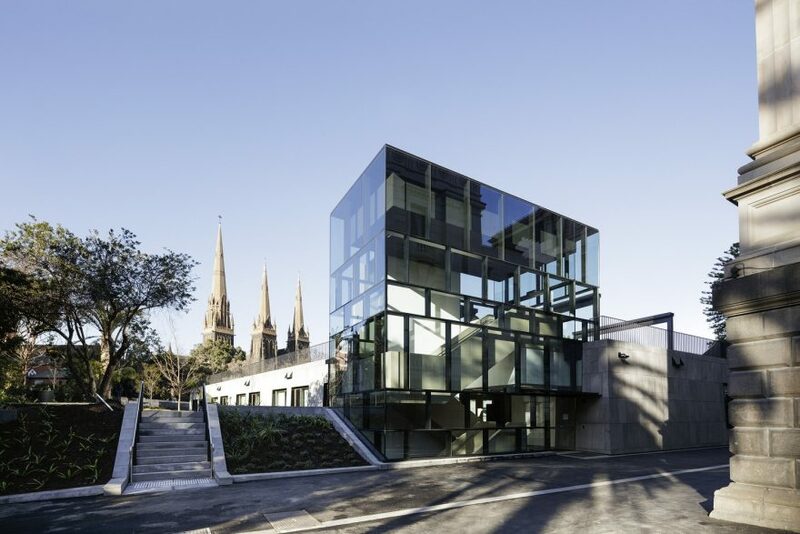 The architectural language of the building adopts two distinct approaches, a sloping rampart type bluestone clad outer wall and a gridded concrete framed façade to the inner courtyard. 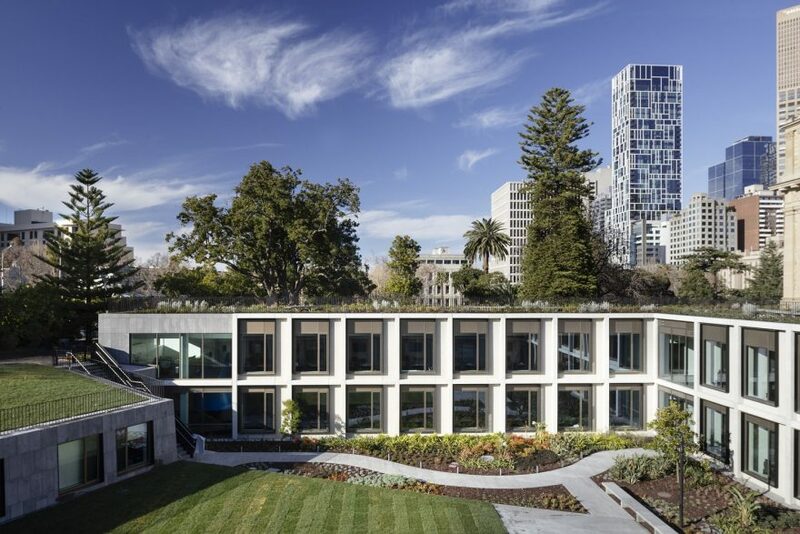 The building has excellent environmental credentials, having a large thermal mass due to the roof garden and a geo-thermal mechanical system among other initiatives.